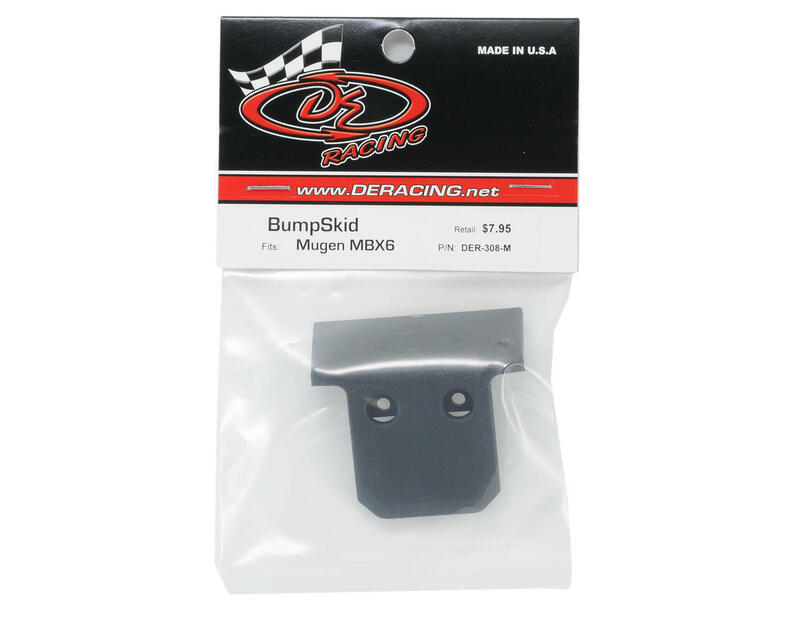 This is a "BumpSkid" for the Mugen MBX6 Buggy from DE Racing. After countless hours of brainstorming and product development, DE Racing is proud to release the “BumpSkid”. 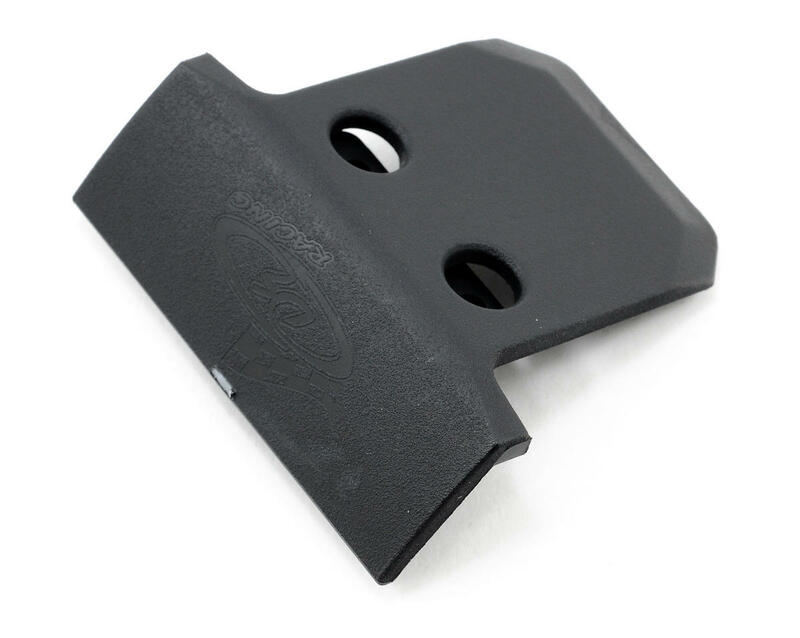 This product combines a superior front skid plate with a refined front bumper to create the ultimate in protection, performance, and styling. DE Racing has always said they believe a car’s chassis is not a wear item. The “BumpSkid” further reinforces that concept by providing high performance protection for the front of your expensive 1/8 scale buggy or truggy chassis. Warning, this doesn't fit on the TEKNO MBX6 chassis, the TEKNO is much thicker than the stock chassis, you can force it on without damaging the bumpskid but it doesn't fit as snugly as on the stock chassis and lifts slightly on the sharp edge (not a huge problem really, but something to be aware of). Tougher than stock component. Highly recommended if you run into things on the track often! Great to have on your buggy. Around 40 runs with minimal wear.